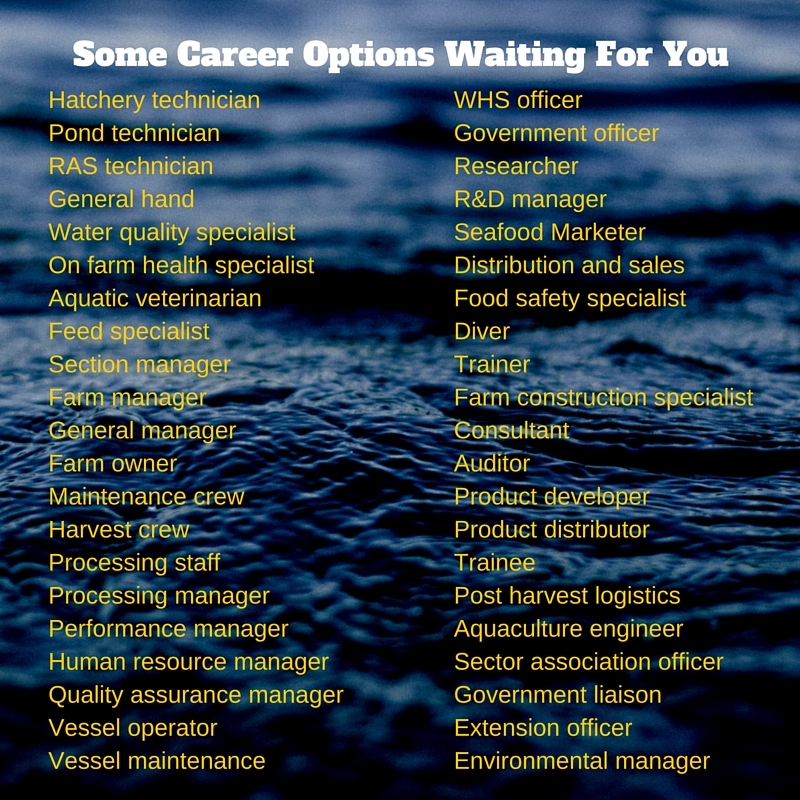 There are so many different types of careers in the aquaculture industry. Our list below only scratches the surface. We love to talk about careers in the industry so if you would like to have a discussion with us about the amazing career options out there, please call us – we always like to have a chat.